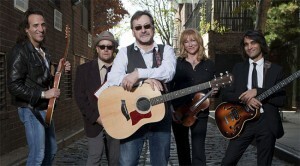 New Jersey’s Southside Johnny takes a trip to the past on his latest album, Men Without Women: Live 7-2-11. 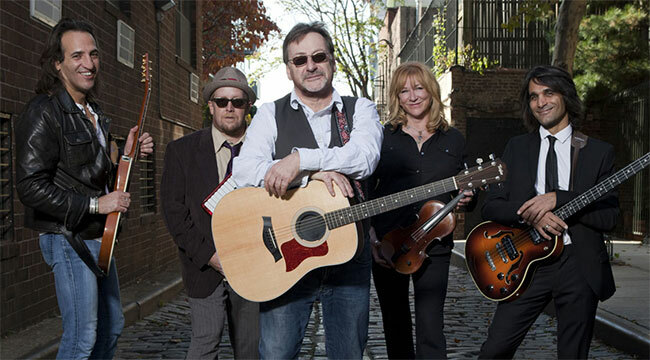 Dating back to the ’70s, Southside Johnny has released over 30 albums. We interviewed him for a weekly paper and could print only part of what he had to say. Here are some of the questions and answers we couldn’t use. Tell me about how this new album came to be. Steven wrote the songs and that was material we were going to make for Hearts of Stone, back in ’79 or ’80. The songs were very personal for him, and I wanted to try some different things. I think he realized the songs were more for him than me and we had recorded three or four basic tracks and we moved in a different direction. Steven later re-recorded those songs and made Men Without Women. It’s a great album. I hadn’t heard it in a long time and a friend of mine recently burned me a copy of it and I loved it. I was like, “This would be a perfect thing to do at the [Jersey club] Stone Pony outdoors gig.” So we did it last year and we had six horn players and Steven sang on it. It was an extravaganza, and we recorded it and have just put it out. You have a huge vinyl collection, don’t you? We have over 5,000 45s and I don’t know how many 78s. We had 10,000 and got rid of stuff we weren’t listening to. My friend and I have a joint collection. When we lived in Nashville, we’d have a party and play hundred and hundreds of those 45s. Now, he has it all in Whitefish, Montana, where he moved two years ago. I have visitation rights. I know you’ve been recording some new material at Bon Jovi’s studio. Talk about the close relationship you have with Mr. Bongiovi. We’re working on a new Jukes record but we’re also working on an album by the Poor Fools, my acoustic side project. I have been friends with him since he was a teenager. He was always an ambitious guy who loved rock ’n’ roll. I really liked that. He wasn’t cool about it or anything. He’s as crazy about blues and R&B as I am. It’s like when Keith Richards and Mick Jagger and all those people meet each other and start talking about Jimmy Reed and Muddy Waters, they realize there’s a bond there. I like that. When did you start collecting fine art and what’s the best piece you currently have in your collection? I don’t collect a lot of fine art. I have two pieces I really like. David Hayes, who played in the Jukes and was Van Morrison’s bass player for years and years, is a terrific painter. He painted me one painting of a yellow flowers on a bright red background. The other piece is a piece I bought for 15 dollars at a flea market. It’s a primitive of a fishing shack on a marsh. It’s very soothing but very compelling, too. For $15, I figured what the heck. It came in a homemade frame made out of scrap wood. It’s a neat folk art kind of a thing. It pleases me to no end. Are you into bird watching? Yes, I am. We have what’s called the World Series of Bird Watching and every year on Christmas Day you have 24 hours to see or hear as many birds as you can. I’ve never done that but one day I will. I like to travel, though, and I’ve gone to Costa Rica and Belize to see birds. It’s an excuse to travel without the band and it gets you up early in the morning and is a lot healthier than me sitting up drinking all night.